Of the many issues addressed by the U.S. Surgeon General in his report on “E-Cigarettes and Young People”, published today, I find the following paragraph characterises an attitude that is, for whatever reason, negligent of the work conducted by so many scientists in the UK, Europe and the United States on the potential for e-cigarettes to reduce substantially more harm than they cause. And then on page 184, the USSG adds: “Correspondingly, e-cigarettes have been proposed by some as a harm-reduction strategy and as a tool for smoking cessation, but the data to date do not support e-cigarettes for harm reduction or cessation (Siegel et al. 2011; Abrams 2014). 1) Thats it – these are the only two mentions in the entire 251 page report that allude to e-cigarettes as having potential to reduce smokers’ risk for developing smoking-related disease and premature mortality. 2) The USSG does not acknowledge, or even call for more research to determine whether, as the World Health Organisation concluded two months ago, that if the great majority of tobacco smokers who are unwilling or unable to switch without delay to alternative sources of nicotine with lower health risks, this would represent a significant public health achievement. 3) As this group well knows, the Royal College of Physicians published a comprehensive report earlier this year in which the evidence of potential harm to young people attributable to e-cigarette use (as either an active or passive consumer of vapour) was specifically addressed, as was the potential for e-cigarettes to reduce or increase risk for smoking initiation among young people. 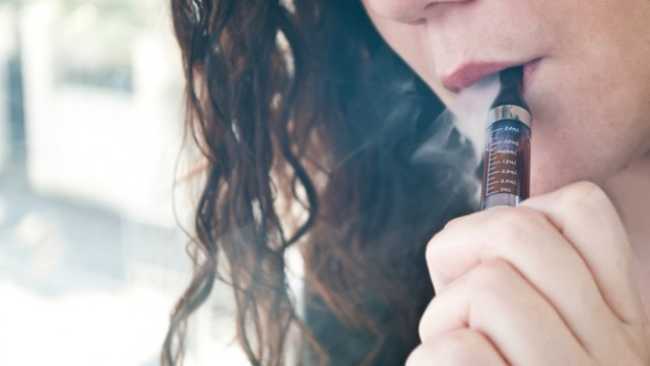 The RCP report arrived at very different, but rightfully tentative conclusions about the potential for e-cigarettes to cause and reduce harm to you young people. The USSG, however, makes not a single mention of even the existence of this comprehensive report by his UK counterparts. The USSG cites two studies (Henningfield, Abrams) that highlight the potential for e-cigarettes to reduce harm. Just two. Two studies of the now hundreds of empirical, theoretical and policy studies that are published and publicly available to the USSG. If this ommission was deliberate, this would be highly disrespectful to all the pioneering work and discussion that has taken place around tobacco harm reduction in the United Kingdom since 2007. If for some inexplicable reason, the USSG did not feel the RCP report contained any argument or data that were relevant to issues faced by U.S. Public Health services, then I would suggest this is either disingenuous or highly troubling that the USSG believes the RCP and reports cannot in any meaningful way inform a regulatory approach that would be appropriate for the protection and improvement of the health of America’s young people. I would be grateful if you could share this (if you feel it is worth sharing). Reproduced here for the benefit of non-facebook users. And I note the dates of the ref docs. 2011, 2013 & 2014. In vaping terms he is using material which was produced two centuries ago. Something yet he remains relatively silent on the subject.You have to ask why! 4 Pings/Trackbacks for "“E-Cigarettes and Young People”"